When you have agreed to subscribe to any package by senangPay, you will need to make the first payment in order to activate your account. You can directly make payment after you have completed the registration form. 2. Read the terms & conditions at the bottom of the form by clicking “user agreement”. 3. Click “Register” to proceed to payment form. 5. Click “Confirm Payment” button. 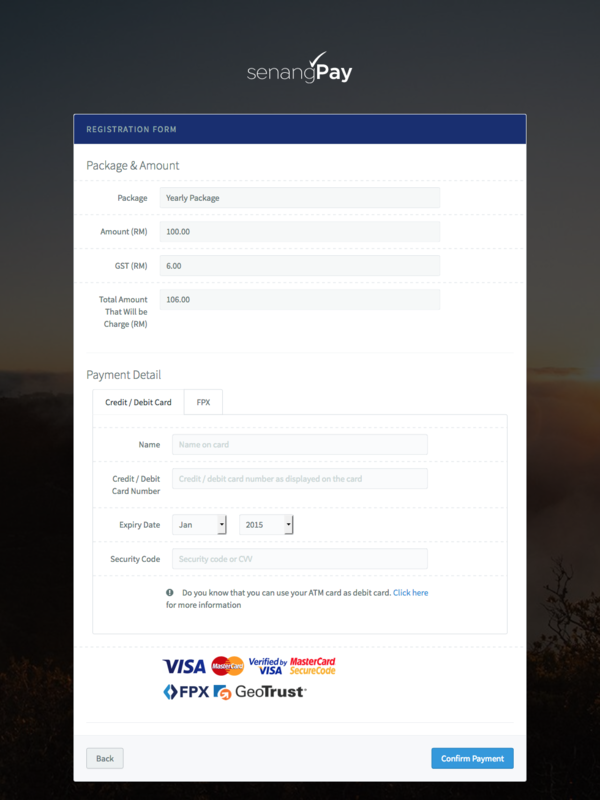 Below is an example of the payment form that you will need to fill in for the registration. 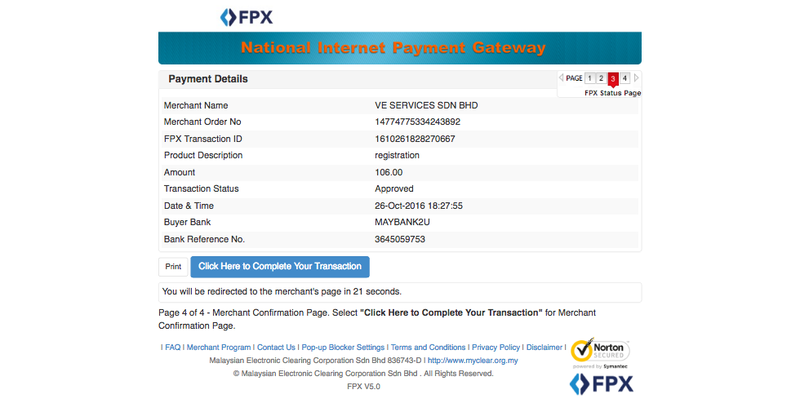 Simply choose to pay either using credit / debit card or Internet Banking (FPX). 6. You will be directed to your Bank to make payment. For example, if you select FPX > Maybank2u, the login page of Maybank will pop up. 7. Login to your Bank and proceed to make payment. 9. You will also received Welcome Email for account activation from senangPay. 10. Now you can login to your dashboard and use senangPay. Don’t forget to upload your related documents via the dashboard within 7 days or your settlement will be pending. For the newly subscription Tax Invoice, kindly proceed to login to your dashboard. 1. Go to http://app.senangpay.my or simply login from http://senangpay.my page. 2. Insert your login email and password. 4. 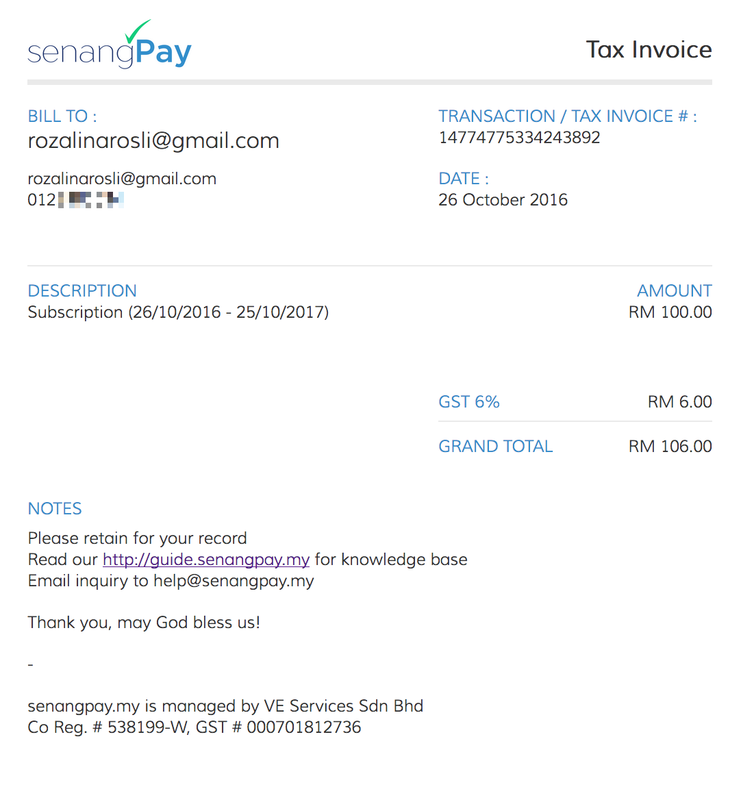 You will see a page of Charges List from senangPay to you. Since you are newly registered, you will only see one charge list that is the registration charges. 5. Click on the icon under the “Action” column. A pop up of your subscription transaction will appear. 1. The subscription fees is including GST charges. 3. What happened after I submit my documents?